Miller Drug pharmacy in Bangor was established in 1957. 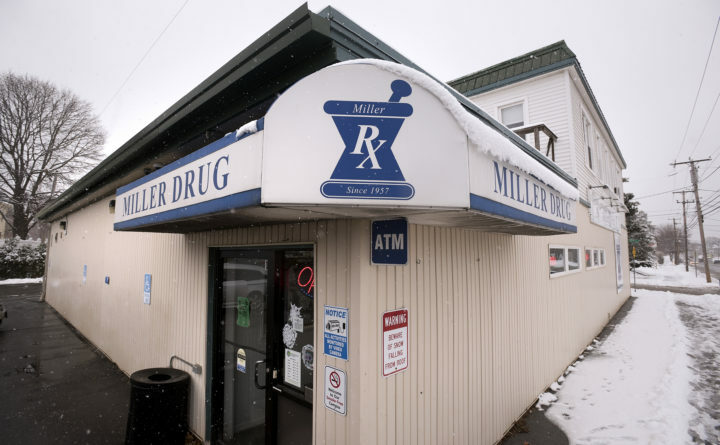 Miller Drug, a household name in Bangor since its State Street location started compounding and selling prescription drugs in 1957, will take on a new name in January when it starts doing business as Northern Light Pharmacy. It’s the latest stage of Eastern Maine Healthcare Systems’ rebranding as Northern Light Health. After renaming its hospitals around the state to include the name “Northern Light” and conduct all business under a unified company name, the health care system will do the same with Miller Drug’s five locations, the system announced Monday in a news release. “We may be changing our name but our customers will continue to receive the same quality service that they have come to expect,” Jeff Doran, vice president of clinical services for Northern Light Health, said in a statement. Miller Drug first became part of what was then Eastern Maine Healthcare Systems in 2010, when it merged with EMHS division Affiliated Healthcare Systems. At the time, it was a 50-50 partnership between Affiliated and Bill Miller, who had begun the pharmacy in 1957 as a prescription counter at his mother’s State Street variety store. His mother, Frieda Miller, opened Miller Drug’s State Street location as a variety store in 1939. In 2014, Miller Drug became a wholly owned subsidiary of then-Eastern Maine Healthcare Systems but retained the Miller Drug name. The ownership structure will remain the same following the name change, said Matthew Marston, the pharmacy’s interim director. Since first affiliating with the regional health care system, Miller Drug expanded beyond its State Street location to four other locations, including one that became the in-house pharmacy for Northern Light Eastern Maine Medical Center. The list of services the pharmacy offers has also grown to include a mail-order pharmacy, pharmacy services for long-term care facilities and counseling. Following the name change, Northern Light Health will install a plaque at the State Street location to commemorate Miller and the history of Miller Drug. Marston said the pharmacy has not yet determined the cost of rebranding. “None of the cost will be passed on to the patients,” he said.